Volunteers are the life and soul of every GAA Club. The GAA is unrivalled in terms of the number of volunteers that provide endless hours of service to the Association’s many GAA Clubs. Throughout the world, GAA volunteers undertake the administration of clubs, coaching of teams, washing of jerseys, the lining of playing pitches, the transportation of players to and from games, the organisation of fundraising initiatives in addition to performing a host of other specialised tasks. Without volunteers, clubs and the GAA cannot function. Being involved in the GAA gives a sense of fulfillment which is unrivaled. It brings membership of the biggest club in Ireland, puts one right at the heart of Irish culture and provides a pastime for every member of the family. Club membership is open to Adult Players, Adult Non-Players, Juvenile Players and Families. New Members are always welcome. By becoming a member, you accept the club’s CODE OF BEHAVIOUR and agree to abide by the rules of Cumann Lúthchleas Gael. Giving support to your club through the membership fee but more importantly through participation in club activities. Voting rights in how the club is run at the AGM. FREE use of Pavilion Hall & Bar for private functions. Complete use of the Ball Alley, Main Pitch, Training Pitch and All-Weather Pitch for club activities. For members 18 years & over, access to GRMA (go raibh maith agat) which is the new GAA Membership Card programme providing benefits and rewards to you, as a GAA member. Using the Card or membership number will enable GAA Members to benefit from partner discounts, special offers and earn points for going to GAA games. Underage Coach participating in official club playing activities have benefit cover under the GAA Injury Benefit Fund. See www.gaa.ie for full details. Adult has Voting rights in how the club is run at the AGM. 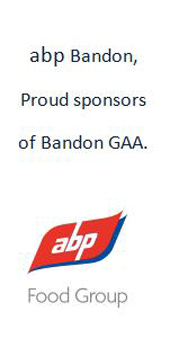 Text Match Alerts from Bandon GAA Club.